‘BMB’ as fondly called was born in Abeokuta, Ogun State, Nigeria to a family of politicians, educationists and human resource experts. He had his primary and secondary school education also in Abeokuta, Ogun State, Nigeria. He is a graduate of Psychology from Covenant University, Ota, Ogun State, Nigeria where he served as the President of the Students’ Union Government becoming the first and only student to ever attain such position in his faculty (then CHD). He also has a degree in Law from Swansea University in the United Kingdom and has long been a Barrister and Solicitor of the Supreme Court of Nigeria. 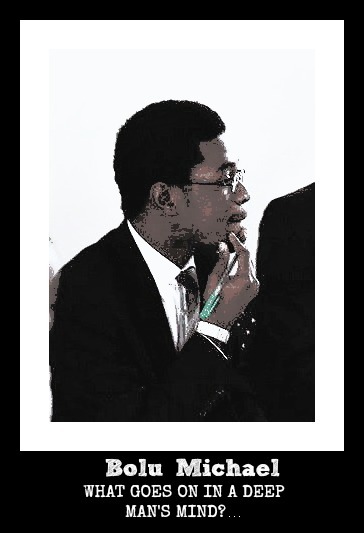 He was the Ambassador and Head Delegate to the Federal Democratic Republic of Nepal for the 1st Global Model United Nations Conference 2009 held in Geneva, Switzerland and in 2010 a Secretarial Official/Nigerian Ambassador of the Africa International Model United Nations in Nairobi, Kenya. He is a Certified Mediator and the National Vice-President and Nigerian Representative for the ‘Circle for Research on the Rights and Duties of the Human Persons’ (a Non-Governmental Organization with Special Consultative Status with UNESCO). He is also the Convener/Initiator of One Nigeria Extraction (O.N.E), a socio-political movement dedicated to the Nigeria Project and also the President of ROI Africa, a Pan-African social enterprise with a presence in over 40 countries. Bolu’ Michael-Biyi is a public speaker, writer, diplomat, social entrepreneur, HR person, and a super strategist. He has a strong passion for national development and good leadership, he has spoken on several occasions, written three (3) books and published many articles. He currently works with the African Union. He is widely described as one of the foremost and brightest youth leaders from Africa, he is a recipient of many awards.